Did your doctor just tell you that you’re pregnant with twins? If so, you might be freaking out a little bit right now. The news shouldn’t come as a total shock seeing as how the twin birth rate has hit a record high in recent years with more than 130,000 twin births taking place every year. But still, it can be a little bit unnerving when you learn you have twins on the way. One of the things parents worry about when they find out they’re having twins is all of the twin essentials they’ll need to buy. They aren’t sure how they’re going to be able to afford to buy everything they’ll need to take care of twins. But you can do it–if you commit to buying in bulk! 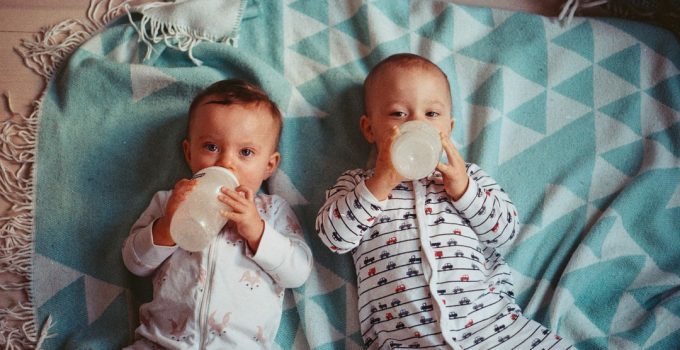 Here are 8 items you need to buy in bulk to save money when you have twins. Are you planning on breastfeeding both of your babies? If so, there are a lot of different benefits that come along with it. But it can be tough for a mother to breastfeed one baby, let alone two. So rather than going that route, you might be thinking about using baby formula instead. If that’s the case, you should start stockpiling baby formula towards the end of your pregnancy and continue stockpiling it once your babies are born. You’re going to have two new mouths to feed, and they’re going to want to eat early and often when they’re first born. The good news is that there are many baby formula manufacturers that will provide coupons for parents with more than one baby. But you should still prepare to spend a pretty penny on formula and save up accordingly so that you don’t ever run out. You’ll also want to invest in extra bottles when you have twins so that you don’t ever find yourself in a situation where you don’t have one. When a baby is first born, he or she will usually go through about 10 to 12 diapers each and every day. That number will go down gradually as the baby gets older, but it means that he or she will use more than 300 diapers during its first month. For twins, that number gets doubled and it equals up to, well, a lot of diapers! Parents who are expecting twins should ask friends and family members to shower them with as many diapers as possible in the months leading up to the birth of their children. They are definitely going to need them! And once the babies arrive and they start having to buy them on their own, parents should buy diapers in bulk. You’re going to use them anyway, so why only buy a few at a time? As you prepare yourself for the idea of taking care of twins, one of the things that might really worry you is the thought of purchasing two separate bassinets for your babies. That sounds very inconvenient to parents who are going to be tasked with trying to get two babies to calm down and rest. Fortunately, you can make the job slightly easier by opting for a twin bassinet that will fit both your babies at once. It’ll allow you to put your babies down together so that they can sleep throughout the day and (hopefully!) the night. Yes, you’re even going to have to think about buying car seats in bulk! Your best bet is to keep your eyes peeled throughout your pregnancy for baby stores that are selling two or more car seats at a discounted rate. It could help you save a significant amount of money on the cost of car seats, especially if you’re going to buy two sets of them for multiple vehicles. Forget about splurging on name-brand baby clothes when you’re having twins. While you want your babies to look cute when they’re in their outfits, you also need to come to terms with the fact that you’re going to be buying twice as many clothes as you normally would for twins. That means buying clothes up in bulk when you can find a great deal, even if you’re not necessarily buying the brand you might like the best. You can spend a little extra on clothes for holidays and other special events. But generally speaking, you shouldn’t break the bank trying to fill your twins’ dressers up with designer duds. Burping your baby after they eat is important. It prevents your baby from getting too gassy as a result of the air that he or she takes in while eating. The challenge with burping a baby, though, is that you can run through quite a few burp cloths every day. And with twins, it’s going to start to seem like you just can’t keep burp cloths clean for more than a few hours. It’s best to buy them up in bulk and then keep them moving through the laundry cycle so you’re never without them. It might not seem like you’ll need many pacifiers for your babies, even though you have twins. But once your babies are old enough to start using them, you’re going to find out how tough it can be to keep them clean and usable. They’re going to be constantly falling on the floor and getting all dirty. By purchasing pacifiers in bulk, you can make sure you always have a handful of them on hand at any given moment. Technically, you could get away with buying the same amount of books for two babies as you would for one. But as your twins grow, they’re going to start to want to have their own things, and it’s going to be up to you to facilitate this. Books are a great place to start with this process. You can buy up a bunch of books for both your babies and then split them up once they get a little older. There are so many twin essentials that you’ll need for your babies. But try not to get too overwhelmed by it! It might take you some time to get used to caring for two babies, but you’ll get the hang of it soon enough. It’ll become second nature, and you’ll come to appreciate all the hard work that goes into raising two babies at once. 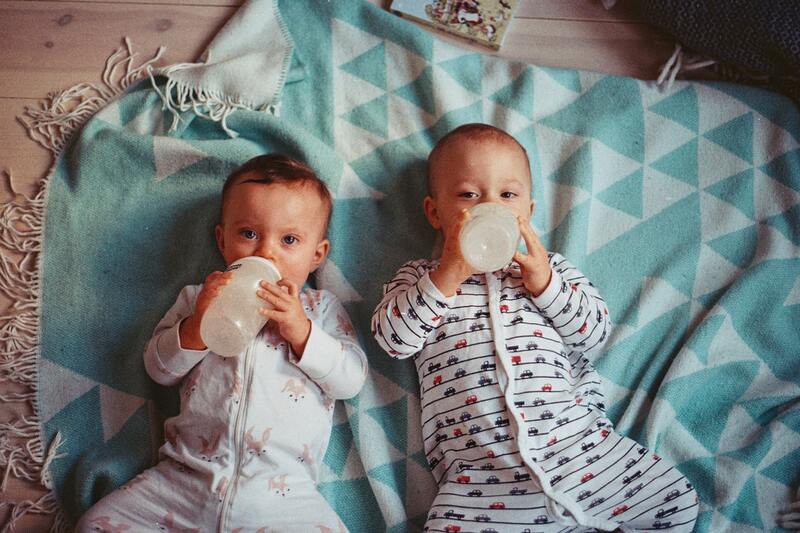 Do you want to learn more ways to save money while taking care of twins? Check out our blog to see how to save on shoes, pick out a budget-friendly stroller, and more. You know that lack of rest makes you one grumpy and slow person. It affects your health, your memory, and your looks in an unspeakable manner. Fatigue is also a major cause of the more than 100,000 auto accidents and 6,400 fatalities in the U.S. every year. One in every three adults in the U.S. is short on sleep. If you aren’t sleeping well, it’s probably time to swap out your mattress. Experts recommend changing your mattress every 7-10 years. And you should do it more often if you aren’t getting the rest you need. There are hundreds of choices. How do you find the one that is perfect for you? And the bigger question, how do you find an affordable mattress that you’ll love? Resting well can be difficult if you aren’t comfortable. Unlike baby and toddler sleep disruption, adults often suffer from distraction, discomfort, or worry preventing a good night’s rest. A new mattress isn’t going to make your stress go away or turn off your screens for better sleep, but you are going to be a whole lot more comfortable! You can spend anything from $99 to more than $1000 on a new mattress. So what goes into the price difference? The amount of use you’ll get out of your mattress depends on the quality and type of it. The type of mattress you choose makes a difference. An innerspring mattress contains steel wire coiled springs to support and distribute your weight evenly across the mattress. A high-quality innerspring mattress can last 10 years or more, especially if regularly turned over end to end or side to side to distribute wear. Hint: Despite what the salesperson says, the NUMBER of coils does not noticeably affect wear, but more coils can be more comfortable than fewer. The WIRE GAUGE (thicker is better) is a better predictor of mattress lifespan. Foam mattresses might last a decade to 15 years. It depends on their material quality and care. Watch out for the heat retention qualities of memory foam, as many people find them too warm. Hint: Don’t pay extra for special materials. Viscoelastic foam has been around since the 1960s. It is long-lasting and proven to prevent bed sores. Choosing an organic mattress? The lifespan of a latex mattress varies. Although hypoallergenic synthetic latex is available, all natural latex is a popular choice. Many mattresses have a 20 to 25-year life. Hint: Double-check the warranty. Some mattresses might have little to no replacement value if they wear out prematurely. These aren’t the groovy, sloshing bags of the 1970’s. Waterbed mattresses come in two types: the traditional type of vinyl waterbed mattresses contained in a waterproof liner in a frame, or the soft-side mattress encased in a foam box and sealed like a conventional mattress. They can last 5 years to 10 years with proper care. Hint: No longer the popular choice, waterbed mattresses may have a steep priced when you find them. A hybrid mattress is a combo of foam and innerspring mattresses. The most common configuration is a layer of foam, coiled spring supports, then another layer of foam. These are often the most affordable mattress type. A pillowtop is additional padding between you and your mattress. The extra cushion layer can shorten your mattress’ lifespan, as you cannot flip the mattress to even out wear on the coils. The lifespan of the padding can also be shorter than that of the mattress and leave you with uneven lumps and dips. Hint: A hybrid or pillowtop mattress might need replacement after just 6 years. The durability depends on the quality of the base foam and the coils. One factory’s “extra firm” might be a mere “medium” to a different mattress company. There are no standardized measurements of firmness. Find the mattress that suits your sleep habits best based by trying it out. Hint: Mattresses labeled softer might not be more comfortable, and harder ones might not be long-lasting. Hint: You don’t have to buy a new box spring every time. If you purchase the same size mattress as your current one, you shouldn’t need to change the foundation. Sure, the fabrics covering the box spring and the mattress won’t match, but who sees them? Use the money you saved to buy a mattress cover and a dust ruffle if it bothers you. If you downsize your mattress, you gain a few square feet of floor space in your bedroom and reduce your costs. A California King is the same size as two standard twin beds together. Downsize to a queen and gain room for a dresser or two. Hint: Queen size beds are the “standard size” of the market. They are often the “floor model” or “sale item.” The price difference between a Queen and King is often 50% or more. Do your homework. A common trick of the mattress industry is to make comparison shopping difficult. The same manufacturer might make just three mattress types but label 30 or more distinct models to ship to different stores. Consider trying out mattresses for 15 minutes or more. If you can’t spend the time in a store doing that, get your mattress from a place with a generous return policy so that you can try it out and send it back if it isn’t comfortable. Know what you want in a mattress and negotiate for that, not a certain brand name. The same strategies you use for grocery shopping will work to your advantage. Always keep your budget in mind. Finding an affordable mattress that you love is a challenging project but will be a worthwhile investment in a good night’s sleep. Saving money on a quality mattress is a good investment. Leave a question or comment in the box below! Moms spend more time and money buying clothes for their children than they do for themselves. The average back to school clothing expenditure per child per year is $131. That adds up! Part of the problem is that there are so many cute clothes for girls. Gone are the oversized t-shirts and culottes of yesteryear. Girls go to school in moto jackets and tunic sweaters, chambray shirts and leather boots, and jeans in every cut and rinse available. There are better ways to shop for your kids than succumbing to every impulse buy. 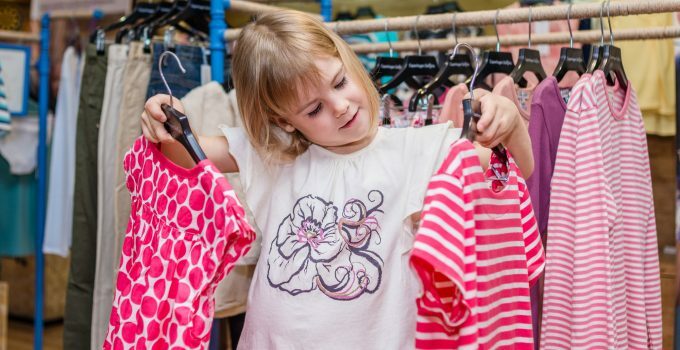 Here are seven tricks for filling your daughter’s closet without going broke. Some of the biggest ticket items are the pieces that only get worn once. A flower girl dress and shoes for a wedding, Christmas clothes, and snow pants. Borrowing these low-use items from another family saves you money and gives the clothes another life. There are also places you can rent dress clothes, whether brick and mortar or online. Not only will you outfit your daughter more economically, but you also won’t have to face a wasted investment every time you open the closet. 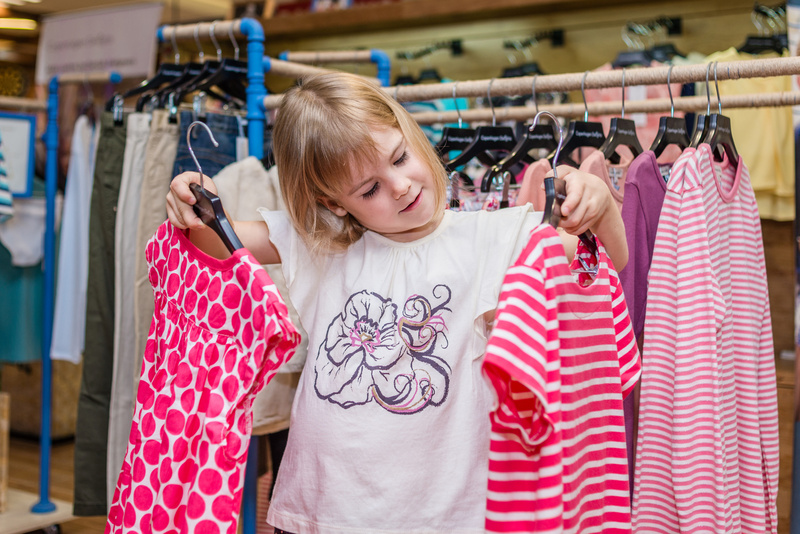 Reusing other people’s stuff is a great way to acquire affordable kids clothes. In the era of fast fashion, it also helps the planet by keeping clothes out of landfills. Organize a swap among your friends or moms from sports and school. Spend a couple of weeks collecting items. Have moms drop clothes off at your house so you can sort them by size and style. On swap day, it’s a free-for-all, and everyone takes what they need. Keep an eye out for swaps or clothing bazaars at churches. It’s a similar concept on a much larger scale. They often have tons of gently used baby gear, too. Kid clothes can either get worn to pieces or not used much at all. Kids are picky and choose their favorites based on criteria parents don’t even consider. Shirts might get overlooked for itchy tags, pants get rejected for being too stiff. Meanwhile, your daughter wants to wear the pilled pony dress every. single. day. But what’s frustrating for one parent is gold for another. Those unused clothes end up at consignment shops like Once Upon A Child, where you scoop them up for a great deal. You’ll find like-new shoes, girls plus size clothing, and every Halloween costume imaginable. You might even find a fresh replacement for your daughter’s favorite dress. If you can think beyond the daily mom grind and prepare for the future, you’ll save a lot of money buying clothes offseason. 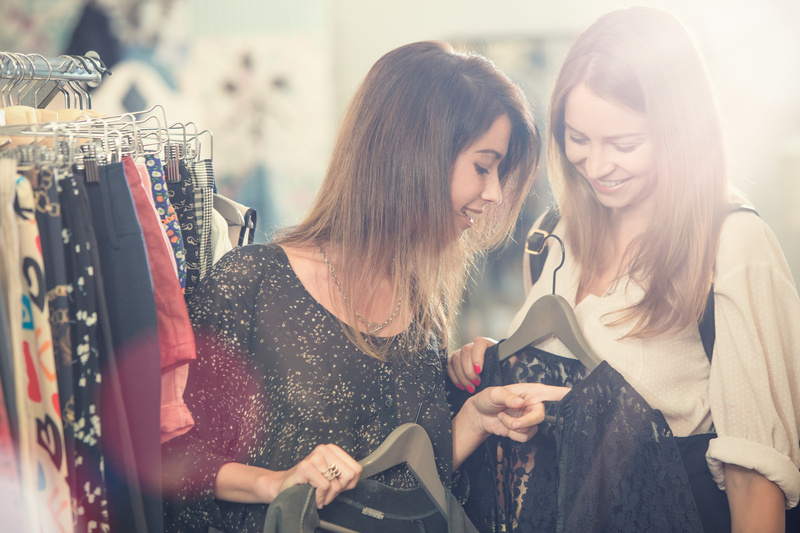 Stores have to clear out seasonal stock regularly, which means you’ll save big. Anticipate your daughter’s growth and buy jackets as they go on sale in Spring. Buy up shorts once there’s snow on the ground. 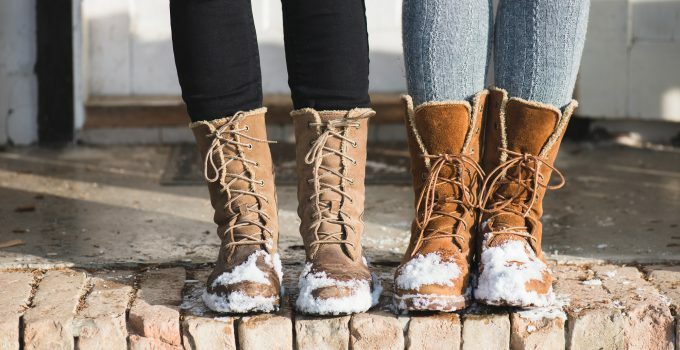 Get in the habit of buying for next year at the end of every season. Store your haul in clear plastic bins so you don’t forget what you’ve got. Make sure to label them by size and age, and switching out your kids’ closets is easier than ever. Stop buying clothes at retail prices. Chances are there are similar cute children’s clothes on sale or even on clearance. You can save up to 70% sometimes. Target has a regular schedule of sales, especially on holiday branded items. A Valentine’s sale could earn you a peplum top decorated with hearts, which can be worn long after February 14th. Sweaters with snowflakes might go on sale after Christmas but will stay in fashion all throughout winter. Old Navy is always having store-wide sales. Stock up on essentials when they’re half-price. Always check the clearance racks. Some items get moved to clearance because they’re unworn online returns. If you buy less, you’ll spend less. It’s as easy as it sounds. Instead of buying a pair of leggings in every pattern, get a handful of more basic styles that go with anything. Limit yourself to items that mix and match. If everything goes well together, it reduces the chance of garish, clashing kid-picked outfits. When your daughter dresses herself, you won’t feel the need to make that disclaimer on your Instagram posts. Get the most out of what you spend money on. 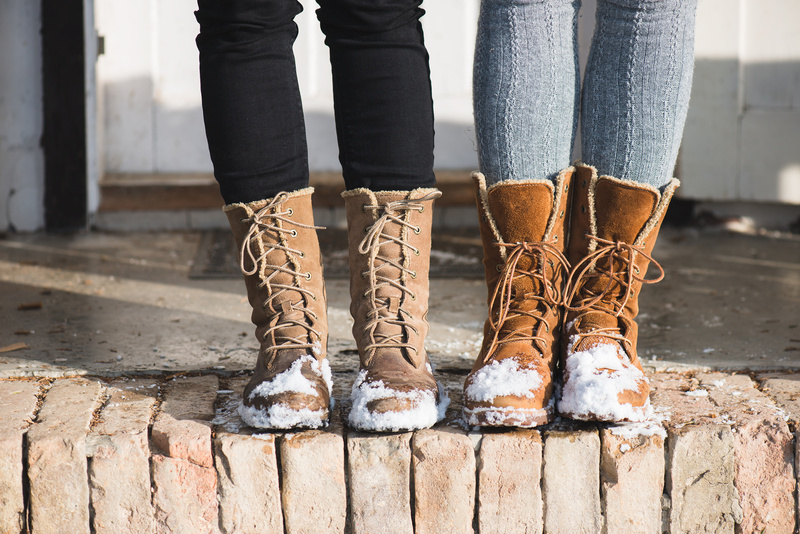 You’ll get every penny out of a pair of shoes your daughter wears until they’re worn out. Invest in three good pairs: a boot, a gym shoe, and a dress shoe. Size up on items like pajamas and jackets. They’ll last for years, and it doesn’t matter if they’re loose-fitting. Those bedtime bellies will stay covered longer, and you won’t have a stack of coats to sift through at the beginning of winter. Spend more on neutrals that can be passed between sons and daughters. There are plenty of options all of your children will be happy to wear. Your favorite store probably has an Internet presence. You can shop for sales online to access more sizes. Sometimes stores even run exclusive discounts online. Have the items shipped to your local store to avoid shipping fees. Many websites offer free shipping with $50 purchase. Amazon rolled out their Prime Wardrobe service with free returns or exchanges. The selection is vast, and prices are low. You’ll have to pay attention to reviews and size charts to make sure you know what you’re getting. The best online deals happen midweek. You can save around 40% by finding Wednesday sales. Consider setting up an Ebates account for added savings or buying coupon codes. Websites like ThredUP sell gently used clothes at significant discounts. A search on eBay for clothes NWT (new with tags) will get you a deal on brand name clothes. There are also wardrobe curating sites for kids, similar to Stitch Fix. You’ll get a monthly box of girls clothes put together by stylists. If you decide to keep the clothes, you’ll save 30% off list price, or you can return the items at no cost. Now that you know the tricks, shop smart for cute clothes for girls. Borrow what you can, think ahead, and don’t overbuy. Affordable kids clothes are just the start. You can save money everywhere. Find more tips for saving money in our Frugal Living section. You’re getting married! That’s exciting news! But now you’ve got a wedding to plan. And that means that there are a million details to plan and take care of. You have to book the wedding venue, the caterer, order the invitations, and the list goes on and on. Don’t forget the wedding band! Not the kind for your finger, silly, the one that will keep the party rocking while everyone dances the night away. Believe it or not, there’s plenty to consider when looking at small wedding bands. After all, not all bands are the same, just as not all wedding are the same. 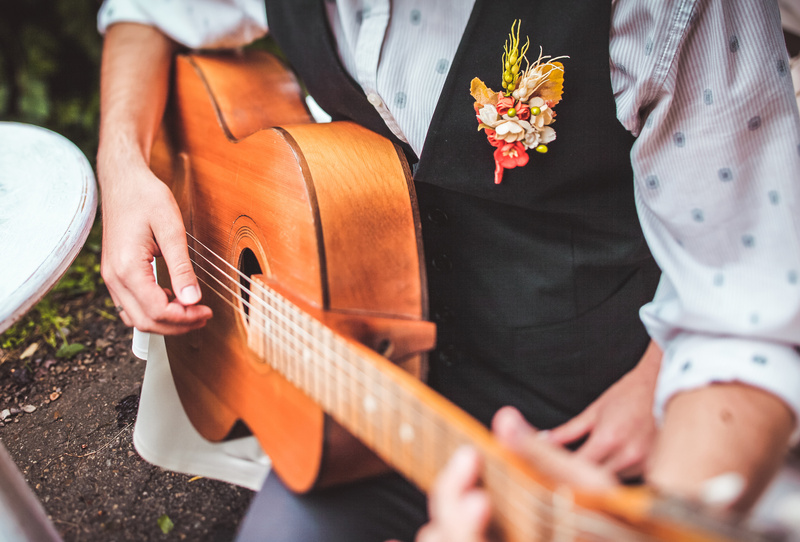 Let’s take a look at some things to consider before booking a musical act for your big day. Are you getting married? Congratulations! Before looking for small wedding bands for hire, be sure to consider the factors here. Before you starting shopping around for a band to play at your wedding, you’d better know how much money you have to spend on music. The bigger your wedding budget, the more options you’ll have. And make no mistake, good bands generally aren’t cheap. So take a look at the numbers and decide how much you have to work with. Do some research online, and then start making some calls. Talk to your wedding planner and get some references. Talk to local bars and clubs that host a lot of live music. These are great sources for finding out the names of some good local bands. You’ll be surprised how much you can learn just by calling up and asking. Keep in mind that the type of music you want will have a huge impact on the energy of the party. Hiring someone to sing Frank Sinatra tunes will be much different from a party band that plays 80s hits. Knowing the kind of music you want will make searching for the right band much quicker and easier. Some bands play a wide range of covers from a variety of styles and eras, which always makes for a great party. Once you’ve narrowed your list, it’s time to make contact. You’ve gathered a few names and numbers, so now you need to reach out and talk to them. Before making those calls, sit down and make a list of questions. You need to find out if they have a general playlist they like to work from. Do they take guest song requests? How much do they charge and how many hours will they play for that price? How many performers are there and what do to they typically wear? This is an important conversation and should give you a good idea of what you can expect on the day of the event. And once you’ve narrowed it down to your top two or three bands, call around to other venues where they’ve performed and ask about those experiences. To see a great source for booking live entertainment acts check out Alive Network. Most small wedding bands also play other events as well as regular local gigs. This is a great opportunity to hear them live before booking them for the wedding. See how they perform live, the quality of the music, how they interact with the crowd, the kind of energy they bring. And if you can’t manage to make it to a live gig, see if you can find any live performances on Youtube, or if they have a website with video samples from live performances. How Far in Advance Should You Book Them? The short answer to this question is, book the band as soon as possible. A good wedding band is likely going to be in high demand and will get snapped up quickly by another event. Once you’ve set the date for your wedding, you’ll need to book everything needed for that day ASAP. Keep in mind that venues, caterers, and entertainment options go fast, so don’t risk losing your first choice by hesitating. The best thing to do is call the band at the top of your list and have a conversation. Let them know your intended date. This way, even if they are booked for that date, they might be able to move some things around on their schedule in order to accommodate your wedding. 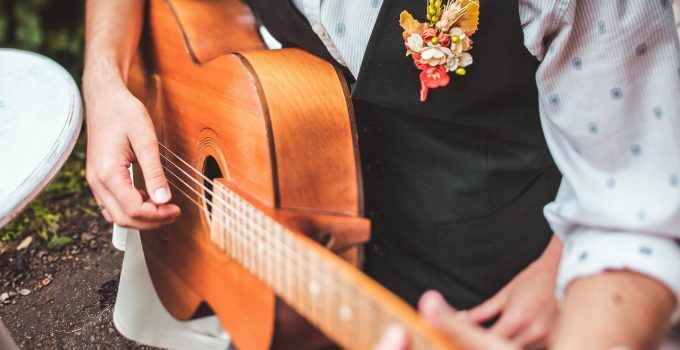 Before officially booking the band, give some serious consideration to the fact that your wedding is one of the most important days of your life. It’s a momentous event that takes lots of planning, and where many of your closest friends and family will be gathered to celebrate. Do they offer a contract and require a deposit? Are they easy to reach by phone or email or return calls promptly? Do they have a high turnover among band members? Do they ask any questions about the event or what you expect from them? Will they bring all of their equipment or is there something you’ll be required to furnish? The size of the venue also impacts the band size of the musical act you book. You’ll also need to consider the layout of the room, as well as power sources the band will need to plug in their equipment. There’s nothing better than a party with a great band, with everybody dancing and having a great time. Small wedding bands can take a memorable experience to the next level. Wedding band costs might seem expensive, but ultimately it’s money well spent when you consider the priceless memories that will endure for a lifetime. Click here to learn 10 essential tips for buying an engagement ring.